We love learning from our peers and From Our Members allows us to share the wealth of knowledge our members have as a whole. 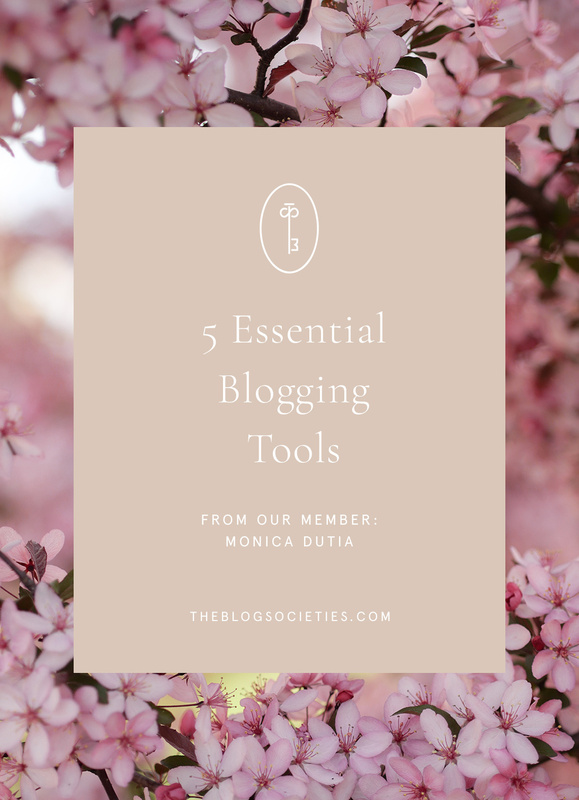 Today we’re sharing the original post from Monica Dutia, a member based in Washington D.C., about her 5 best blogging tools. Blog tools are something we all swear by. Each of us has an arsenal of go-to apps, software programs and more to keep us organized and help maintain our business. Seeing what others use, and how they use them, can help you fine-tune the tools you use as well. Here are her 5 tools she swears by. You can also see the full post here to learn more! This is probably the tool that saves me the most time and keeps me the most organized when it comes to running C&L and its social channels. I’ve been using CoSchedule since 2014–I was one of their first 5000 customers!–and the platform’s capabilities have continued to grow. While there are definitely many more functions available that I actually use, I swear by their editorial calendar for planning + organizing posts and the ability to schedule social media posts(and tag accounts!) for each post. This post is a bit outdated, but it outlines the gist of CoSchedule…basically if you’re a blogger and only get one app that I’m sharing today, make it this one! They have great customer service, too–always a plus when you’re paying for a service. It took me a while to get on board with Planoly because it’s definitely a bit of a luxury for OCD Instagram feed planners (those of us who like to plan out how our photos look together to create a cohesive aesthetic), but I like that you can both plan your feed, save edited photos, and draft captions so when you’re ready to post the image, you can just open Planoly and click on the image to post to Instagram. Unfortunately, Instagram doesn’t let you fully schedule something to go live, but it’s really helpful to have everything ready to go if you want to batch edit + caption a few ‘grams or draft something but post it later. If you’re familiar with marketing or design in any capacity, you’ve likely heard about the Adobe Creative Cloud (formerly the Adobe Creative Suite). They’ve shifted to a subscription-based model vs. just purchasing the software, which initially really frustrated me (along with many other users). I’ve come to like it, though, because it gets you any software updates and means you always have the latest interface–much better than when everyone seemed to be working in and mastering a different version of Adobe. I use Lightroom to edit all my blog posts and have recently started building all my graphics in Photoshop after previously doing so in InDesign. You can get the Lightroom + Photoshop package for $10/month, which is what I’d recommend if you don’t think you’ll be utilizing the other programs enough. This is one tool I’m trying to take more advantage of because it takes a little time and patience to utilize but the results are worth the legwork. Tailwind is basically a Pinterest scheduling tool where you can pin things to your account and they’ll go out at optimal times when your Pinterest following is most engaged. The main benefit is that you can spend some time pinning and have the pins go out over the course of several days, vs. having to spend time on the site daily. It can be really fun to browse + pin but it’s actually what drives a ton of traffic to blogs, so there’s some strategy required to really make Pinterest an audience referral source. The downside is that Tailwind is kind of pricey, but that generally motivates me to learn the features and use them to their fullest extent (the latter of which I really need to start doing). Also, definitely do their tutorials because the site isn’t the easiest to navigate. PS: Follow Monica Dutia on Pinterest here! I wrote about this app and how to use it last year–it’s the only app I use to edit photos on my phone and can’t recommend it enough! Be sure to check out Monica Dutia’s blog here and follow her on Instagram here!